WOW! That was the one word to describe the event in Primm. I hope the coverage on NSDN kept those of you that couldn’t make it informed on the happenings of the race as it went on and gave those of you who were at the race a way to look back on what a the great event that it was. 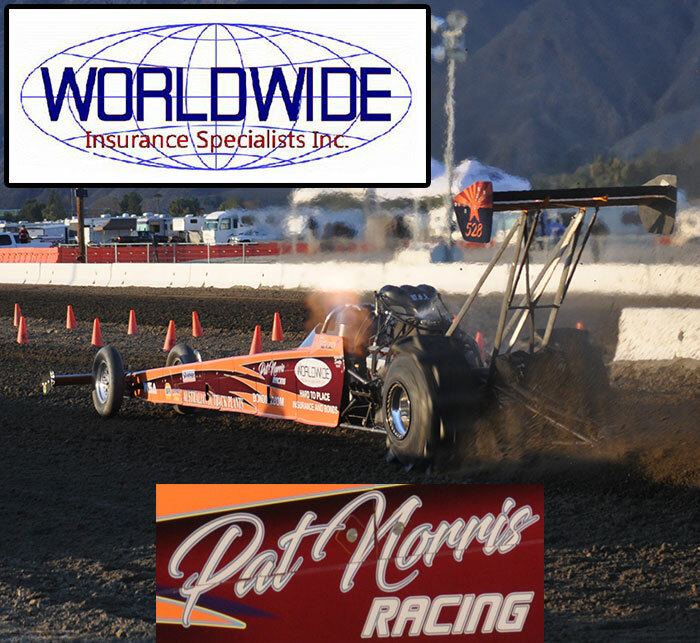 I’d be remiss if I didn’t mention congratulations to Dennis Rieck on his Top Fuel World Record run at Primm of 2.327. 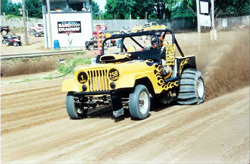 Dennis’ ride was certainly hauling the mail, with 60’ times in the .950 range. Even as great as Primm was, it is time to move on to the next NSDA event. 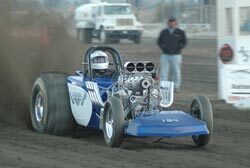 The National Sand Drag Association (NSDA) heads to San Jacinto, CA for its point series season finale for 2007. 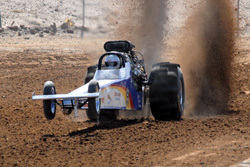 Point series titles have already been clinched in some classes, however many are still up for grabs including Top Fuel. Let’s take a look at where the contenders stand heading into the final race in each class. 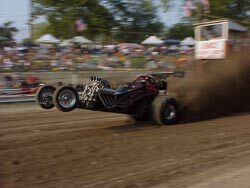 Midwestern sand dragging officially came to a close with its final event of the year with Last Blast, held at the IOK Four Wheelers race facility in Cleves, OH. The rain poured non-stop the week prior to the event, dumping up to six inches on the tri-state area. While the threat of rain kept some of the long distance travelers away, the locals showed up in full force. 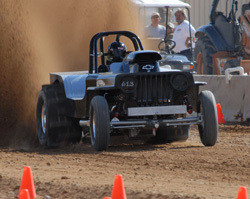 The rain held off and those in attendance were treated to a full array of off-road competition.